She made the statement during a reception hosted by Politburo member and Secretary of the Ho Chi Minh City Party Committee Nguyen Thien Nhan on April 11. 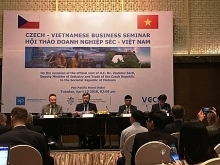 Nieuwenhuizen said the European country holds strengths in technology and is willing to help Ho Chi Minh City deal with challenges in water and waste treatment, as well as flood control. 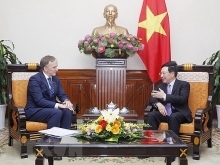 The Netherlands wants to reinforce collaboration in education, personnel training, and connectivity between Dutch and Ho Chi Minh City universities, she added. Nhan, for his part, said the signing of a memorandum of understanding (MoU) on the public-private partnership (PPP) initiative for sustainable flooding prevention between the municipal authorities and the Netherlands will lay the foundation to launch effective and practical projects in the near future. 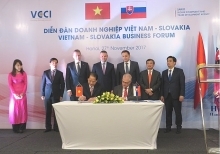 Apart from traditional cooperation areas such as flooding control and climate change adaptation or water treatment, both sides hold potential to coordinate in fields that the Netherlands has strengths in and Ho Chi Minh City has demand for, such as smart urban development, artificial intelligence, high-tech zones, and personnel training, he said. Earlier the same day, the guest minister met leaders of the municipal People’s Committee and witnessed the signing of the MoU on PPP initiatives for sustainable flooding prevention in the city.